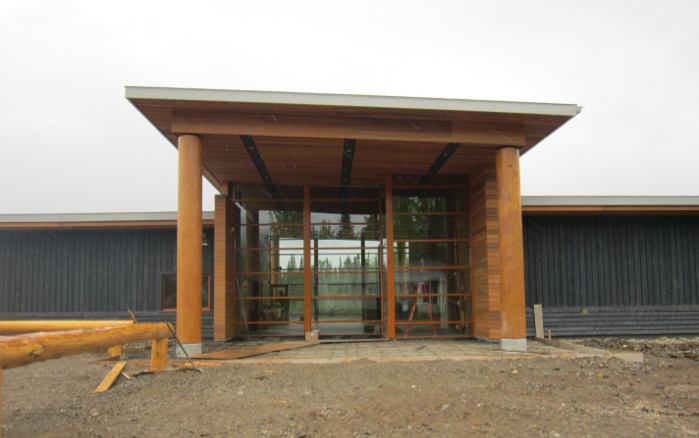 Unison Windows and Doors recently completed an exciting project for the Kwadacha First Nation’s Health Centre located in the solitary community of Fort Ware. Fort Ware is regarded as one of BC’s most inaccessible communities with the closest major town being Prince George, which is a 10 hour drive away on rough logging roads. 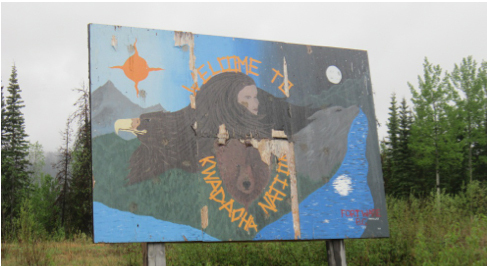 There are no cell phone services, the internet is hard-wired and slow, and the residents rely on hunting and bi-weekly bush plane shipments for sustenance. With a population of 266, it is able to maintain a strong foundation in community stemming from their rich traditional history and culture. They regard the health of the community as being one of their top priorities, so recently they, in partnership with Health Canada, were able to finalize the investment of a new holistic health centre. Overlooking the Finlay River, the design for the new health centre includes a treatment room, trauma room, dental office, physiotherapy room, and a nurse station. 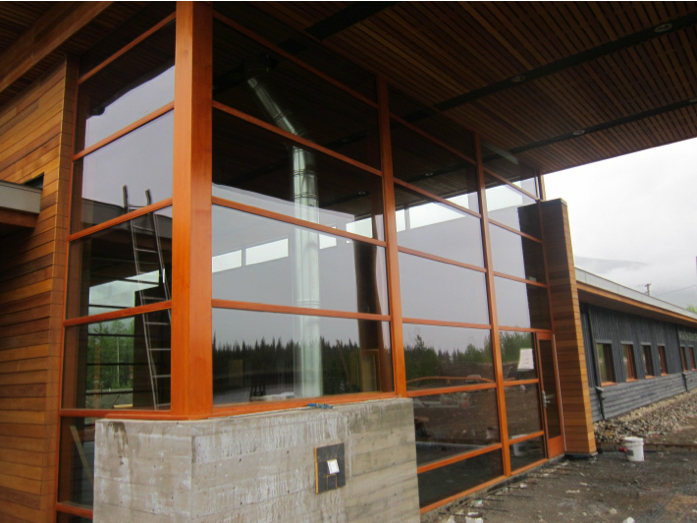 It is heated geothermally, and features Unison windows and doors to connect the building to the surrounding environment. It will provide much needed services to the residents of both the Kwadacha and the Tsay Keh (a neighbouring village 75 km to the south). Two nurses will serve the communities full-time, a doctor will visit once a month, and a dentist every two months for one week visits. It will also act as a facility for any emergency visits that will be needed. The Kwadacha peoples are very protective of their land, so to the architects, providing a maximum amount of window area was essential. 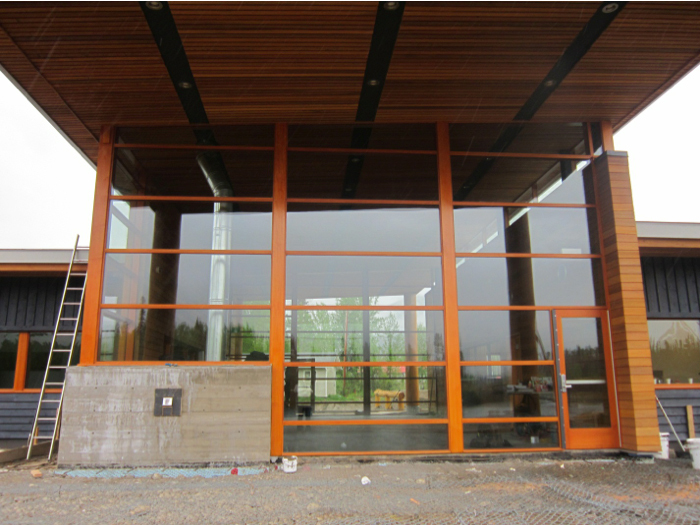 These weren’t the biggest units Unison has encountered, but the main entrance window wall was definitely a challenge. The design of the building included sloped roofs and punctuating concrete walls, which we had to accommodate by making precise calculations. As a result, our products had some awkward angles that we had to tediously wrap with shipping materials to protect them while in transportation. 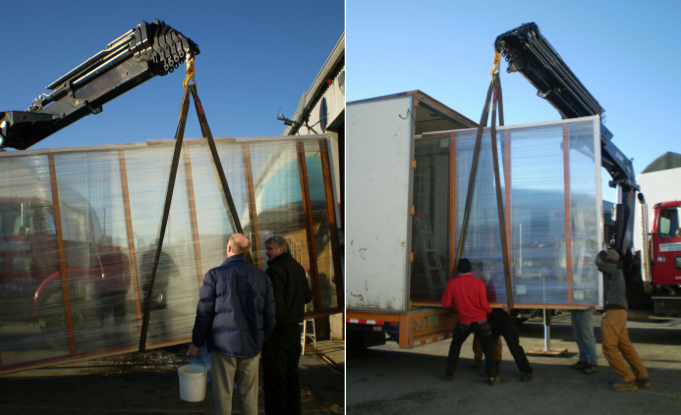 When the units left our shop in January, we had to use a crane to lift them from our shop floor into the transport truck while throwing Peter Salt on the ground to melt the ice. The windows miraculously survived the trip to Fort Ware, and the valiant construction workers were able to install them with snow still on the ground. Construction is going along smoothly now that the weather is turning up. Jordan Barlow recently had the privilege of visiting the Fort Ware site to check-in with the installation and was able to bring back some pictures.